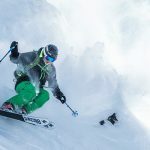 Hands down the most versatile ski in this category, the Atomic Vantage X 83 CTI is exciting, easy to ski, with energy to spare. A true all mountain ski, it ripped the trees and bumps just as well as it arced on the groomed. 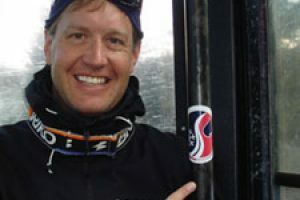 From advanced to expert skiers, this will satisfy a lot of frontside skiers across the country. One tester summed up how our whole team felt about Atomic’s Vantage X 83 CTI writing, “It’s an absolute carving machine. 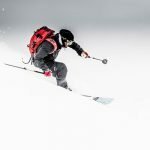 I didn’t want to give it back.” Versatile, energetic, able to finesse the bumps and tree lines with the same precision as it razors the hardpack, the Vantage X is a true Frontside All Mountain machine perfect for either coast. With just enough rocker for butter smooth turn initiation, and a mix of carbon mesh and titanal for power and hold, it can go from tight slalom turns to super G speed in an instant, all without making you feel like you’re doing too much work. This ski does lack a little bit of float in cut up snow, and a couple testers felt it lost stability at the highest speeds. But the majority of our team could hardly find a fault. 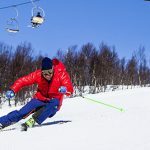 Excellent for almost any level of athletic skiers, this is a ski that can easily take any frontside day from good to great!